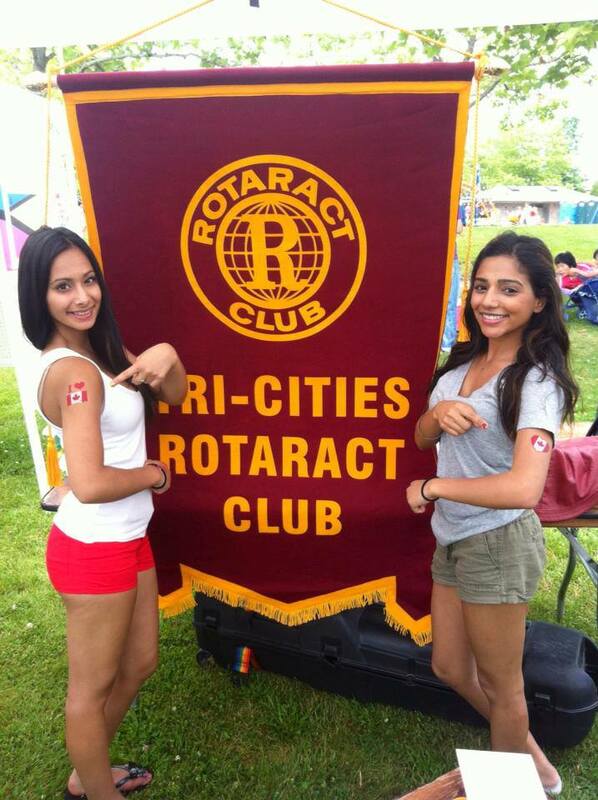 Sarah and Rasmeet showing off their Canadian pride at our booth. The Tri-Cities Rotaract Club spent the afternoon of Canada Day 2013 at Castle Park in Port Coquitlam running an activity booth for the kids. Games, tattoos and other fun giveaways were part of the attraction. We had a great time spending the day with residents of the Tri-Cities and celebrating our country’s 146th birthday! View more photos from the day on our Facebook page.